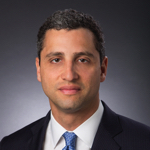 Robert Silvers is a partner in the White Collar Investigations and Privacy and Cybersecurity practices of Paul Hastings and is based in the firm’s Washington, D.C. office. His practice focuses on global internal investigations and enforcement proceedings, cybersecurity and data privacy, government security review of foreign investments, and civil litigation at the intersection of law and technology. Prior to joining the firm, Mr. Silvers served as the Obama administration’s Assistant Secretary for Cyber Policy at the U.S. Department of Homeland Security (DHS), where he was responsible for the federal government’s engagement on cyber defense with the private sector, its response during significant cyber incidents, and its pursuit of law enforcement cyber investigations. Mr. Silvers previously served as DHS’s Deputy Chief of Staff, where he managed day-to-day policy and operations for 240,000 employees across 22 agencies, including the Secret Service, Customs and Border Protection, the Transportation Security Administration, U.S. Citizenship and Immigration Services, FEMA, the Coast Guard, and Immigration and Customs Enforcement. In this role, Mr. Silvers had direct oversight of the Department’s law enforcement and counterterrorism programs, its security review of foreign investment under the CFIUS process, and an array of immigration, border, economic crime, travel facilitation, aviation security, and cybersecurity priorities. While at DHS, Mr. Silvers led crisis management for some of the most challenging security issues in recent years, including foreign and domestic terrorist attacks, cyber attacks against critical infrastructure companies, the surge of unaccompanied children crossing the southern border in 2014, and the Ebola crisis. Mr. Silvers represents companies in their most critical data security and privacy challenges. The National Law Journal has recognized Mr. Silvers as a “Cybersecurity Trailblazer” and he regularly navigates companies through data breach response and accompanying regulatory and litigation defense. An expert in Internet of Things security and international regulatory requirements, he also guides companies proactively to ensure compliance with privacy and security regulations and best practices. Mr. Silvers also draws on his law enforcement background to represent companies in white collar and internal investigations. He has represented multinational companies in matters involving enforcement of the Foreign Corrupt Practices Act, criminal antitrust laws, securities laws, the False Claims Act, and state and federal fraud statutes. Mr. Silvers is a senior adjunct fellow at the NYU Center on Law and Security. He is designing portions of the curriculum and will teach next year in the new M.S. in Cybersecurity Risk and Strategy program co-offered by NYU Law School and the NYU Tandon School of Engineering. After graduating law school, Mr. Silvers served as a law clerk to the Hon. Kim McLane Wardlaw of the U.S. Court of Appeals for the Ninth Circuit.